Hillary Clinton-supporter Lena Dunham posted a bizarre video on Wednesday, featuring her and her Dad expressing support for the “extinction of white men”. “How are you feeling about the extinction of white men?” Lena asks her father in the video. “Well, white men are a problem. Straight white men are a big problem, that’s for sure,” declared her father, Carroll. “That’s my dad!” replied Lena, as Carroll laughed. 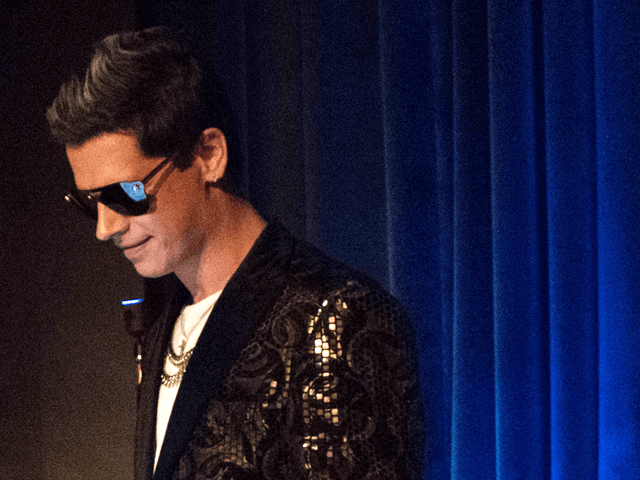 MILO wears bespoke blazer, $799. Jeans by Robin’s Jeans, $975. T-shirt in sand by Daniel Patrick, $75. Sneakers: 13 Jordans by Nike, $140. Eyewear by Versace, $320. Chains: model’s own.